Since the dawn of MMO’s approximately 20 years ago, there have been countless of iterations of the genre. Most, if not all, have one thing in common, they require you to grind some form of currency in order to progress or achieve things. This constant need of ingame currency vs real time is where the RMT (Real Money Trading) businesses capitalized. There’s no denying it, we have all been in that position before, wanting to enchant that weapon or to buy that epic ring off the auction house, only to realise that by normally farming for it, with your available time, would probably take months. Then you see those shouts in the chat about selling, “1kkk/10$ with fast delivery”. And then you start wondering, what’s the point of grinding it out months on end, and not just pay for it and get it right away. Unfortunately, the sad truth is, that RMT exists because the game developers failed to introduce quality content in their games. Instead they locked everything behind superficial walls of grind to prolong their game’s lifespan. The only way to combat RMT is to make it obsolete in your game, everything else is just a waste of resources. RMT is the bane of MMO games, it makes everything pointless and completely breaks any immersion. A bad example of this RMT infestation is the popular game Lineage II by NCSoft. Everything in the game costed Adena and nothing in the game dropped sufficient amounts of it. The only way to generate Adena was with insane grinding. Thus the game was overrun with bots farming billions of Adena 24/7 then selling it back to players. Because of this situation the official servers failed, and people turned to private servers in order to play the game properly. The most popular game for RMT nowadays is WoW. 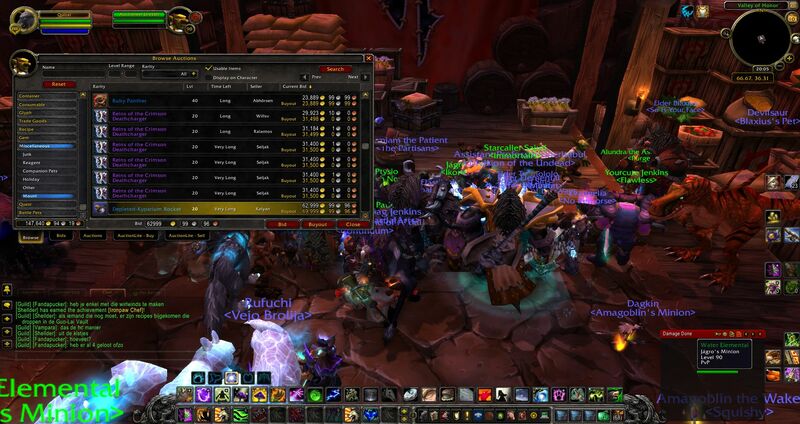 In fact, RMT is so popular Blizzard decided to sell the Gold themselves by utilizing the WoW Token system. 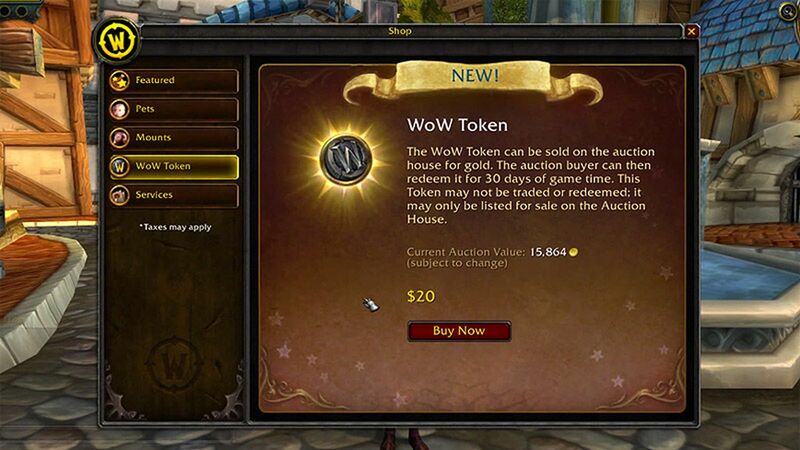 The WoW Token system allows people to buy a WoW Token with real money then put it for sale on the Auction House in a fixed price. The person buying the token can then spend it to add a month of subscription. Blizzard’s solution to the problem was to directly compete with the Gold Sellers and apparently their method succeeded and multiplied their revenues. Even so, the real problem was never solved, and that is the need to buy Gold in the first place. A good example of how to make RMT less important in an MMO comes from FFXIV. 90% of the things obtainable in the game cannot be bought with tradable currency, meaning you need to work for it yourself. Moreover the game rewards you with pocket cash everywhere making it impossible to run out of money unless you really try to. The game still has botting and RMT, but it’s a lot less important and doesn’t feel mandatory in order to progress. Another crucial factor resulting in the RMT boom these past years was the shift from subscription based MMO’s to F2P MMO’s. F2P MMO’s are usually less moderated and allow for limitless character creations. You don’t need to be a rocket scientist to understand why RMT is booming in these environments. Lastly we have a new trend in the RMT business which is “Mercenaries for Hire”. Most MMO games feature really hard content such as Raids and Bosses that need good coordination and a good guild/clan. A lot of players due to lack of time investment will never be able to experience that content in normal means. As a result they hire these groups of mercenaries that are usually a guild that will carry you through all the hard content of the game for a price of either ingame currency or real money. For example the famous WoW boosting scene with prices that range from 100-500$ or 1-2m Gold for a Mythic raid clear. Even tho the Mercenary business is not directly related with bad RMT and botting, people that usually use those services buy Gold from the bots to pay the mercenaries. To sum up, game companies need to plan their future games with RMT in mind, they need to think of ways to keep people interested without resulting in insane grinds that will eventually invoke for an RMT solution. Moreover MMO’s need to switch back to being subscription based, the age of the countless F2P MMO’s is becoming stale and doesn’t make any sense for competitive games such as MMO’s. Finally gamers should develop a mindset that “if a game feels like you need to use RMT to progress” then most likely that game is crappy and you should look for something else. This will force the game companies to make better quality games.